Home / Mental Muscle / Unlock Your Confident Mindset! We’ve all been there. We’ve all told ourselves we’re not good enough, even though we are. We’ve crumbled under pressure, because we let doubts, fears, and a Debbie Downer of an inner voice kill our confidence. But here’s the deal: no matter how much you train on and off the derby track, if you don’t believe in yourself, you’ll never live up to your true potential. And we KNOW you’ve got loads of potential! 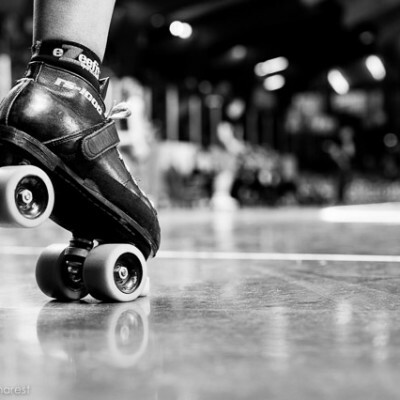 These kinds of experiences are so common – we feel this way at work, in social situations, and particularly so in a sport like roller derby! Derby is a complex strategic game, with heavy reliance on both individual skill and group strategy. Plus it’s a specialized set of skills that most of us have not been doing for very long! We demand a lot of ourselves, and many of us feel a lack of confidence because ‘we’re just not good enough’ to be as successful as we want to be. We’re here to change that with a Confidence Challenge! >> Sign Up for the Challenge Here. This is our second annual Confidence Challenge, after fabulous success with our first run at it in 2017. Our participants gained so much from the work they did together, that we just knew we had to run this one every year! Over four weeks, Jess Bandit will load you up with new tools and routines to improve your self-confidence on the track (and off), so you can silence the negative inner voice, and live up to your true potential. You’ll get some background reading, some ‘homework’ like a worksheet, or reflecting on your own experience, or practicing a new mental habit, and a chance to reflect on what works best for you as we move through the Challenge together. 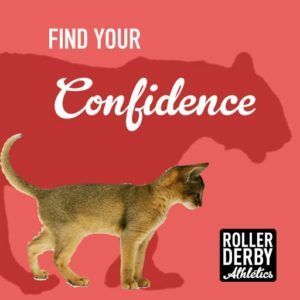 Anyone who wants to learn how to give their confidence a boost! 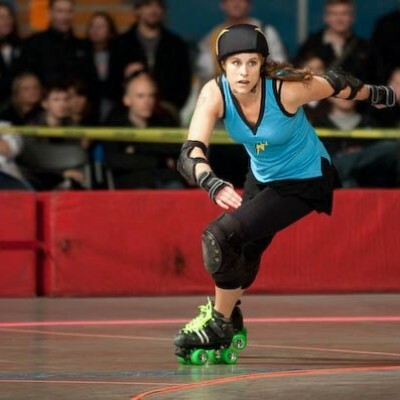 You’ll be led by Team Canada Roller Derby head coach Jess Bandit (read more about me here!) 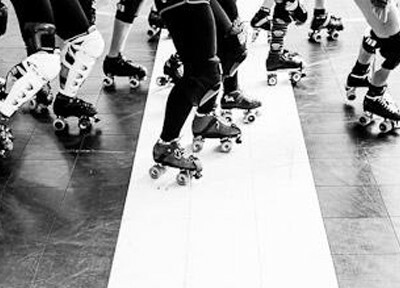 and you’ll get to share in the experiences and growth of your fellow challengers – a group of roller derby players like you, from around the world. Anywhere your brain travels! Challenge materials will be provided via email, and a lot of the group activity will take place in a private Facebook group. You can try out the new skills you’ll learn at your team practices. Expect to spend an hour or more per week working through activities and worksheets to learn more about how you can harness your powerful mindset. Because no matter how much you train on and off the derby track, if you don’t believe in yourself, you’ll never achieve your true potential. But with some focussed Mental Skills Training you CAN learn how to empower yourself!